8 days: 6 days multi-centre, independent walking holiday. Altitude maximum 1886m, average 1200m. This holiday requires a vehicle to get to the walks. Length of holiday can be tailored to your wishes. This independent walking holiday explores the Northern Auvergne in central France which is home to some of the finest landscapes in France. They make for interesting and varied walking with lush green valleys sheltering beneath windswept upland ridges and peaks, affording breathtaking views in all directions. The Auverge is also the region with the highest number of Romanesque churches and monuments in France. For the most part built on celtic sacred sites, these works of art tell a tale of labour, faith and passion of the middle ages. 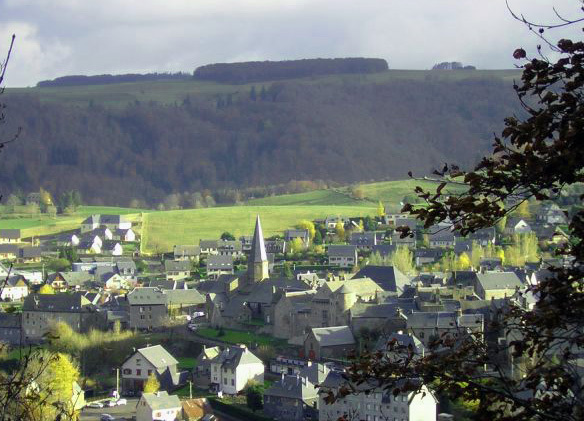 Whether it be important churches, smaller but no less charming chapels or historic villages such as Orcival and Besse, they are set within sumptuous naturel scenery protected within a regional natural park. This self-guided French walking holiday will explore many of the features that make up this beautiful landscape including volcanic and glacial lakes, volcanic domes, rocky cliffs, secluded valleys and dramatic waterfalls. In the north, the Chaine des Puys are a range of 80 geologically recent volcanic domes and cones which stretch as far as the eye can see. These varied landscapes are also a haven for wildlife, including birds of prey, deer, marmots and a host of wild flowers. The walks on this independent walking holiday in Auvergne are graded moderate to challenging and explore the full range of landscapes found in the northern Auvergne. There is the option of making some walks longer or shorter as required. Longer days out on the hills can be interspresed with shorter easier days exploring the lakes and villages of the region. The walking holiday notes include more walks than you have days in the holiday, so that you can choose your walks based on the weather, your interests or the level of difficulty. Ascents are generally no more than a couple of hundred metres at a time. Average length is about 15km. All the walks are on good paths, although they are sometimes on hilly/mountainous terrain. The upland terrain, is occasionally rocky and requires a degree of surefootedness as well as a good head for heights. The Puy de Dome, the highest and most impressive of all the volcanoes at 1465m, is also the site of a 1st century Roman Temple. A short but steep walk takes you to the summit for remarkable views in all directions across a sea of volcanoes. An alternative way to reach the top is via the new railway which opened in 2012. From just above the village of Mont Dore, this short walk climbs to reach the edge of the u-shaped valley of the Dordogne where you can ascend the summit of la Capucin for great views of the Puy de Sancy and the other summits in this mountain range. You can extend the walk to take in a higher summit nearby. On this self-guided walking holiday in the Auvergne, you will be staying in two or three small guest houses which are also auberges. They are in traditional Auvergne properties offering authentic and comfortable accommodation. They are located across the northern Auvergne to reduce the amount of driving to each of the walks. A hearty and healthy continental breakfast provides the perfect opportunity to discover the local specialities such as home-made jams and local cheeses. At midday you will eat packed lunches prepared by our hosts. All evening meals will be taken at your guest houses. Delicious local specialities will be served every evening. Ferme de Fontaneix Auberge Renovated historic farm situated in a great location at the foot of Mont Sancy near the Lac Pavin. Wonderful cuisine. This page provides some useful information about how to get to your independent walking holiday in the Auvergne region of France from the UK. Please contact us if you would like help in organising your travel arrangements or would like more information about arriving from other countries. Please visit our travel store for links to transport providers. Once in France, the journey from Calais to the Auvergne area takes about 7-8 hours (excluding long breaks). Tolls amount to about 35 euros each way. This option would allow you to access the walks without having to hire a car. 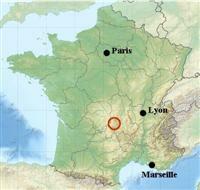 The nearest airport is Clermont Ferrand which only has limited services which change each year. Consult the airport website for more details. There maybe connecting flights via Amsterdam.Other airports served by low-cost carriers are Limoges and Rodez in the west, and Lyon Saint Exupery in the east. A number of airlines fly from the UK to these airports, including Easyjet, BMI and British Airways. All the main car hire firms are available at these airports. Eurostar and the TGV provide a relaxing journey from London to Lyon Part Dieu direct or changing at Lille. From here its a two and a half hour train journey to Clermont Ferrand. Alternatively you can take Eurostar to Paris. After changing stations at Paris, its about a 4 hour journey to Clermont Ferrand. The nearest car hire firm to the train station (less than 2 minutes) in Clermont is AVIS Please be aware that many car hire firms close for 2 or 3 hours at lunch time. Please use Rail Europe's train finder on our travel shop page to organise your train journey.